Ok, let me guess. Your probably thinking right about now "They stole my idea." Reality? We didn't steal Sh$t.. 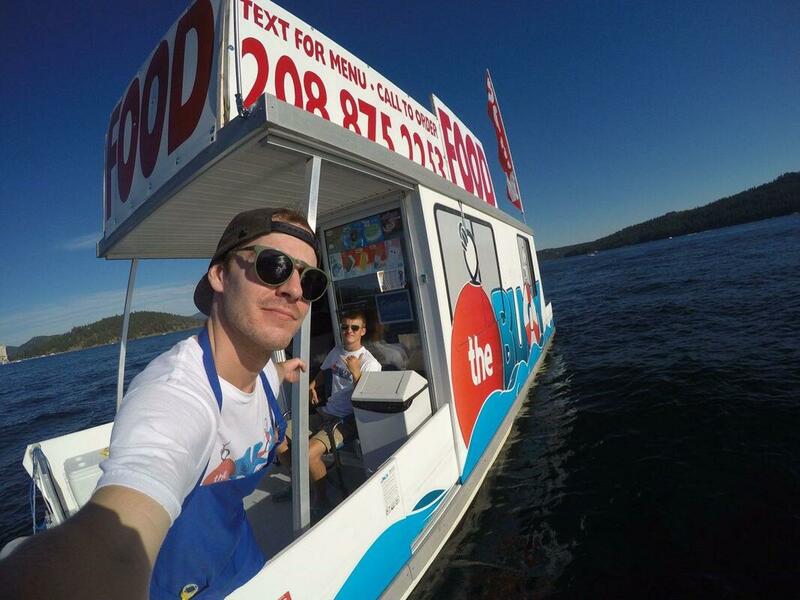 However, we did implement this floating food boat idea in North Idaho and uhh well we.. crushed it! Our food boat got so busy we had to expand into two! Why I am I telling you this? Seriously tho, you need to do this idea of yours! Anyways, we are selling our boats now because we got so dang busy and now own a lakeside bar and grill! We built the best food boat in this industry. Thank you for your interest in buying our boat! If you are serious and not just curious about this business opportunity, then answer the questions below thoroughly. We take pride in the businesses we built and we want to pass it off to someone who we think is qualified and will continue to grow this legacy. If we feel like you'd be a good fit or have a good lake or body of water to run it on, we will contact you and talk numbers from there!